The Travala and nOS partnership represents a collaborative push towards mainstream adoption of blockchain technology. Travala, the one-stop decentralized travel marketplace hosting bookable accommodation in 158,000 properties in 30 countries (In the future, flights, experiences, car rental, restaurants and vacation rentals), is joining forces with nOS to offer a user-friendly bookings marketplace that supports crypto-currencies, cheaper rates and next generation tokenized incentive structures available on the nOS Client. nOS creating decentralised smart internet evolving the blockchain industry. That includes introducing the fundamental infrastructure that allows for virtual tokens & crypto-currencies to be used for more than just speculative use cases. Travala will officially deploy their travel marketplace application on nOS and integrate with nOS APIs exclusively next to Travala’s own solutions. Travala and nOS will promote and reward the use of the Travala Marketplace on nOS Client (e.g. through promotional campaigns and booking discounts & incentives). nOS will officially support Travala on its platform as their exclusive travel marketplace partner. Travala will support the nOS Token for making bookings on the Travala marketplace. A user selects their desired booking and selects the crypto-currency they wish to use for payment. 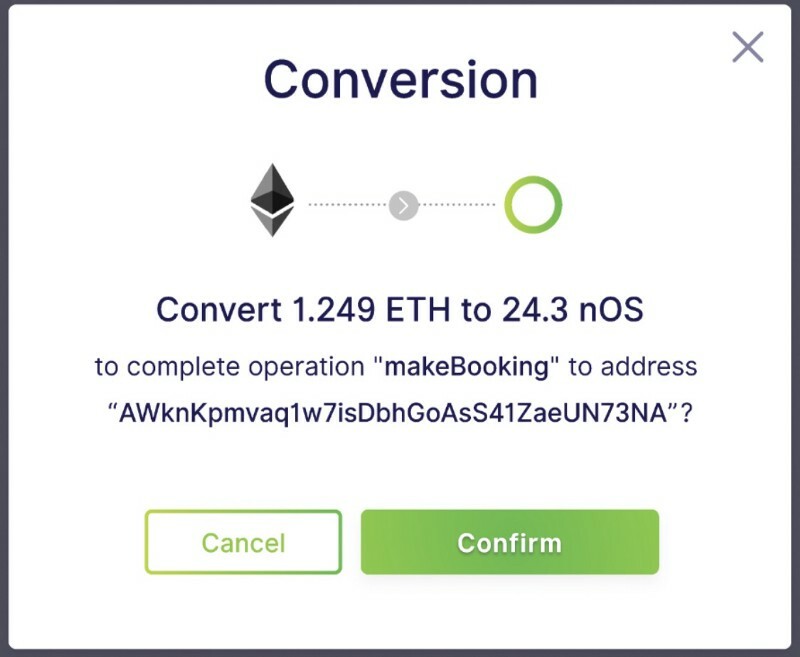 If the user does not hold enough of the selected “check-out” currency, nOS will display a dialogue to convert a crypto-currency that the user does hold, into the right amount of the selected token to complete the booking. If the user approves, they will have automatically converted their tokens to complete their booking in a single click, without needing to access any crypto-currency exchange! Our collaboration and partnership represents the forward thinking approach of both Travala and nOS towards mainstream adoption of blockchain and crypto-currencies. The nOS decentralised internet combined with a user friendly, travel platform allows all users to utilise their crypto-assets for travel services (in this case, accommodation, flights, experiences, car rental, restaurants and vacation rentals). Our Final Round for the nOS Token Sale Whitelist is open! Register here for the Token Sale Whitelist (Deadline: October 22nd).